NEW YORK -- A beagle wagging her tail a mile a minute has become America's top dog. Miss P pulled an upset, winning best in show Tuesday night at the 139th Westminster Kennel Club at Madison Square Garden. 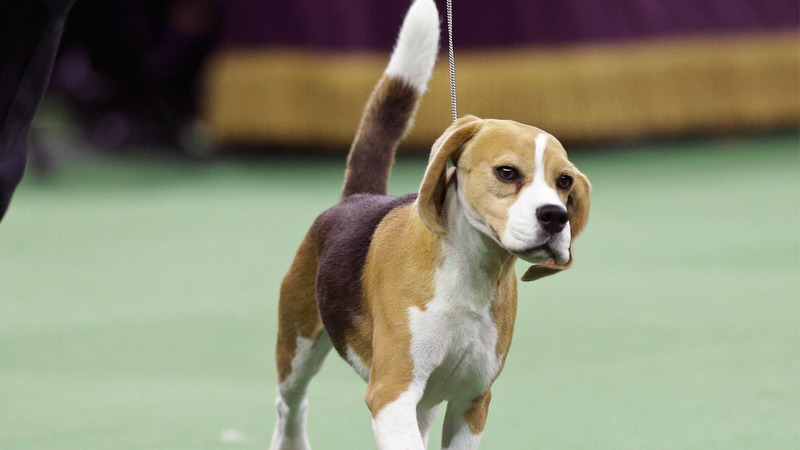 The 4-year-old is related to Uno, who in 2008 became the only other beagle to win at the nation's most prominent dog show. Miss P beat out Matisse, a Portguese water dog that was the top-winning male in show dog history. Judge David Merriam also picked her in the best-of-seven final ring over an old English sheepdog that clearly was the crowd favorite, a standard poodle, a shih tzu and English springer spaniel and a Skye terrier. PHOTOS: Who will be the next top dog?